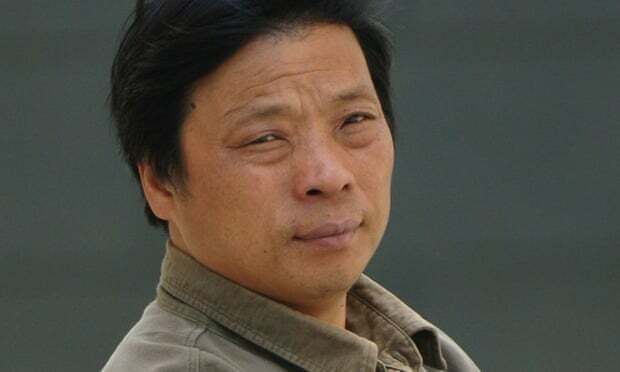 An award-winning photographer whose work exposed the lives of people on the margins of Chinese society has been taken away by security agents, his wife has said. Lu Guang was travelling in Xinjiang on 3 November when she lost contact with him, Xu Xiaoli said on Tuesday. He had met photographers in Urumqi, the capital, one week before and was scheduled to meet a friend in Sichuan province on 5 November, but never showed up. A friend of Xu helped her inquire about her husband’s whereabouts in his home province of Zhejiang, where authorities said Lu and a fellow photographer had been taken away by Xinjiang state security. They did not give any further details, the friend told Xu. Xu said she believed it was Lu’s first visit to Xinjiang. A stifling security apparatus has been imposed on the region in recent years as the government combats what it calls terrorist threats from Xinjiang’s predominantly Muslim ethnic Uighur and Kazakh populations. “I know that he wouldn’t have done anything illegal,” Xu, 45, said in a phone interview from New York, where she is studying art design and raising their child. Lu won first prize in the prestigious World Press Photo contest for a series on poor Chinese villagers who became infected with HIV after selling their own blood to eke out a living. His photos tackle gritty subjects such as pollution and environmental destruction – issues traditionally avoided by the Chinese press because they risk punishment for exposing societal problems the government may consider sensitive. However, Lu never had problems with the police before, according to Xu, who added that she was not aware of any photo projects he had planned for his Xinjiang trip. Lu’s profile on the World Press Photo website says he is the recipient of numerous other photography honours including Germany’s Henri Nannen prize in photography and a National Geographic photography grant. It says Lu was the first photographer from China to be invited by the US state department as a visiting scholar.